Treatment of infections are becoming ineffective as they are resistant to many of the drugs. The researchers from MIT have discovered a way by which the antibiotics can be modified thereby enhancing the efficacy of the drugs against drug-resistant infections. By the method of chemical synthesis they were able to enhance the drug’s effectiveness. By chemically linking the antibiotic vancomycin to two different antimicrobial peptides, the researchers were able to produce more potent antibiotics. By the method of chemical synthesis, they could increase the efficacy of the drugs against two strains of drug-resistant bacteria namely A. baumannii and E. faecalis. By chemical synthesis, drugs can be modified to create more potent antibiotics. This could be used to obtain different combinations of antibiotics and peptides to give various drugs that become more effective against drug-resistant infections. Chemical synthesis could become effective in modifying other drugs, including cancer drugs according to Brad Pentelute, an MIT associate professor of chemistry and the senior author who conducted the study. Pentelute worked in association with Stephen Buchwald, the Camille Dreyfus professor of Chemistry at MIT, Scott Miller, a Chemistry professor at Yale University and other researchers at Visterra, a local biotech company. The study appears in the Nov. 5 issue of Nature Chemistry. The lead authors of the paper are former MIT postdoc Daniel Cohen, MIT postdoc Chi Zhang and MIT graduate student Colin Fazden. Cohen discovered that an amino acid selenocysteine could react with complex natural compounds in the absence of a metal catalyst. He noted that when the electron-deficient selenocysteine was mixed with the antibiotic vancomycin, the amino acid linked itself to a particular area, which is an electron-rich ring of carbon atoms within the vancomycin molecule. The researchers then used selenocysteine to link peptides and small molecule drugs. The amino acid was incorporated into naturally occurring antimicrobial peptides which are small proteins produced by organisms as their immune defenses. Selenocysteine is a naturally occurring amino acid which includes an atom of selenium, but is not common like the other 20 amino acids. Selenocysteine is found in a few enzymes found in humans and other organisms. The study conducted by the researchers showed that by chemical synthesis, the peptides could link up with vancomycin. They also found that the chemical bonds consistently formed at the same location, resulting in molecules that were identical. According to the researchers, in order to obtain the product in the pure form it will be difficult with the current method to link complex molecules. If this kind of reaction is conducted with the existing methods, then there would be a number of steps involved only to chemically modify vancomycin so that it could react with a peptide. Zhang says that the complex molecules have areas that can be harnessed to link to the protein, in the case where the protein has the selenocysteine handle that they developed. The whole process would then be simplified. The study shows that there is an advance in technology where attaching of unmodified drugs to targeting proteins can be done. This can bring about selenocysteine-mediated drug conjugates where the targeting proteins send the potent drugs to the location of the disease in an expected manner. The researchers found that one of the molecules which is a combination of vancomycin and the antimicrobial peptide (AMP) dermaseptin, was five times more effective than vancomycin against the bacteria E.faecalis. 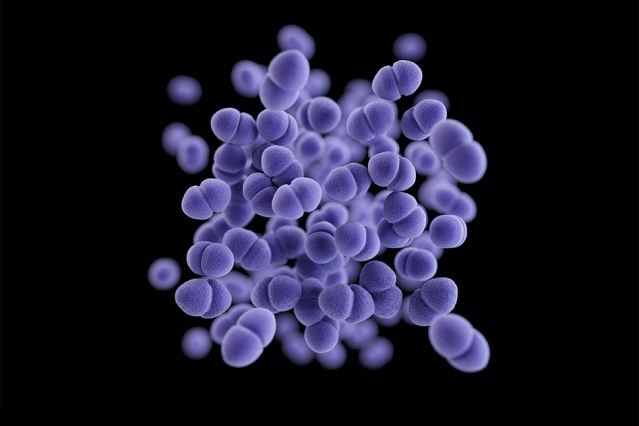 Vancomycin linked to the AMP RP-1 was also more effective against the bacterium A.baumannii.